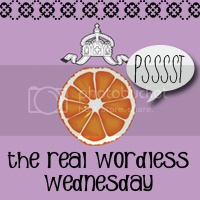 PonderWonders: The Real Wordless Wednesday...Link Up!!! I guess it didn't skip a generation....sigh! Go ahead and link up too! Just click image below and have fun!!! Tootles! What a great collection of photographs! Thanks for linking up, chica! I think they are adorable too! Thanks! I took a peek over at yours and Simba is cuuuterz! Thanks for stopping by, I love when friends visit! Hi to all, because I am actually eager of reading this blog's post to be updated daily. It carries good material. Hi! I've been following your site for a long time now and finally got the bravery to go ahead and give you a shout out from Houston Texas! Just wanted to say keep up the good job! Hello, i believe that i noticed you visited my website thus i came to return the prefer? .I'm trying to in finding issues to improve my web site!I guess its ok to make use of a few of your concepts!! This is beautifully 'worded' :) I love the pictures, and am going to fall in line and do a worldess wednesday myself. For that, thank you!! I'm always looking for great ideas!! Thank you for the kind words, happy you liked it. Thanks for stopping by, I took a peek over at yours and left you some GFC love and support. Happy New Year!